When you think about metal in automobiles, the hot topic of the day is military-grade aluminum. It is strong enough to handle the wear and tear on a vehicle, yet so light that it improves fuel efficiency. Many automakers are turning to the material to build their latest trucks and other vehicles that are normally heavy gas guzzlers. 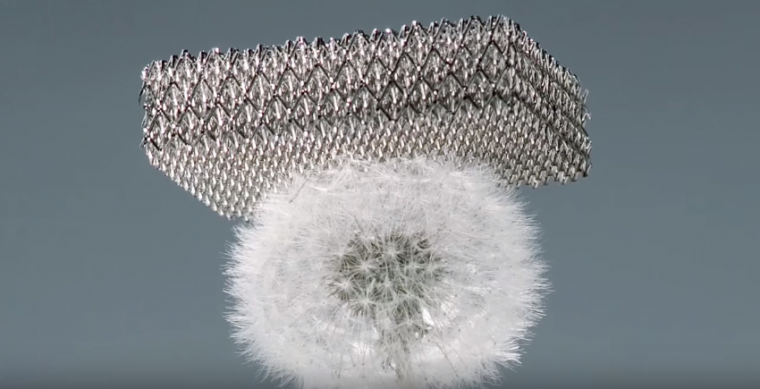 Boeing engineers in General Motors labs have recently created Microlattice, the lightest metal structure that has ever been developed. Most of the space that it takes up is air, with the metal formed to give support where it is needed most. Sophia Yang, one of the research scientists on the project, compared Microlattice to human bones. The outside of our bones are very rigid, but on the inside there is a lot of air with a minimum amount of material to help keep our skeletons strong. Since the project is spearheaded by Boeing, the first application of this new material will probably be in aerospace. However, if the metal structure is successfully integrated into Boeing projects, the next step could be an application in the automotive industry. Lighter cars mean savings in the fuel department, but the structures still have to be tested to ensure that Microlattice provides the same protection as steel and aluminum.